Applying for a job in customer service? You’ll likely be asked to fill out a standard retail job application. These forms often include information on your education, training, and experience, as well as your availability. You might also be asked to answer questions about how you deal with demanding customers, how you work with a team, and what you do when certain stressful situations arise at work. Depending on the nature of the job, you might also be required to answer a few math questions to show that you’re comfortable with numbers. This sample retail employment application form is for a cashier or customer service associate position in a store. Note the questions about your background and skills, as well as your work history and education. Applications may vary, but it can be very useful to fill out a sample application like this one in advance, so you have all the information you need when you sit down to complete the actual form. Some employers will want a complete history, in other cases, you can list the schools from which you graduated or obtained a diploma, certificate or degree. You may find details about previous employment requested on the application. 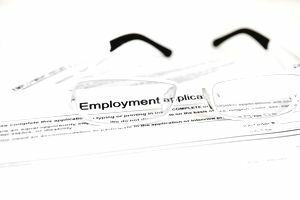 Come prepared with information about previous employment, including dates and addresses. If you worked at a similar establishment, it can be a plus. If you worked with a similar cash register or check-out system at a previous job, that is also a bonus. You may want to list those skills with the job. Please be honest with your answers, so we set a schedule that you work for both you and us. What days and hours Monday - Sunday) are you available for work? How many hours per day can you work? These are common questions seen on applications or asked at job interviews for retail positions. You won't see them every time, but if you prepare answers, you'll be a step ahead if they come up. Why are you applying to work here? If hired, how long do you expect to work here? A customer complains that the coffee tastes terrible, what would you do? What would you do if your replacement doesn't show up when it's time to go home? A customer leaves without paying for gas, what would you do? A co-worker is rude to customers, what would you do? Retail jobs typically involve a lot of on-the-spot math, whether it’s making change or mentally calculating a bill when systems are frozen. The customer's purchase totals $13.93. They give you a ten dollar bill and a five dollar bill. How much change do you give them? If one bottle of soda costs .99, how much does three cost? How much will they cost with 5% tax added on? Each pot of coffee holds 6 cups. We usually sell 10 cups of coffee every fifteen minutes. How many pots of coffee will you need to make?